Matteuzzi has over 50 years of experience in making equipment for the retread industry. 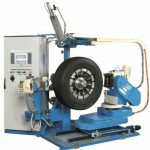 Matteuzzi provides machines and accessories for handling and processing new and retreaded tires for the passenger, truck, earthmover and aircraft industries. 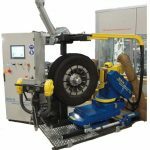 Matteuzzi is known as the world-leader in truck buffing machines with over 900 computer-controlled machines in the world. Its product range also includes finishing lines for precured treads. In this sector, Matteuzzi builds machines with varying degrees of automation (from semiautomatic to computerized), designed to work different lengths and profiles of precured tread strips.